Posted in: Daily Posts. 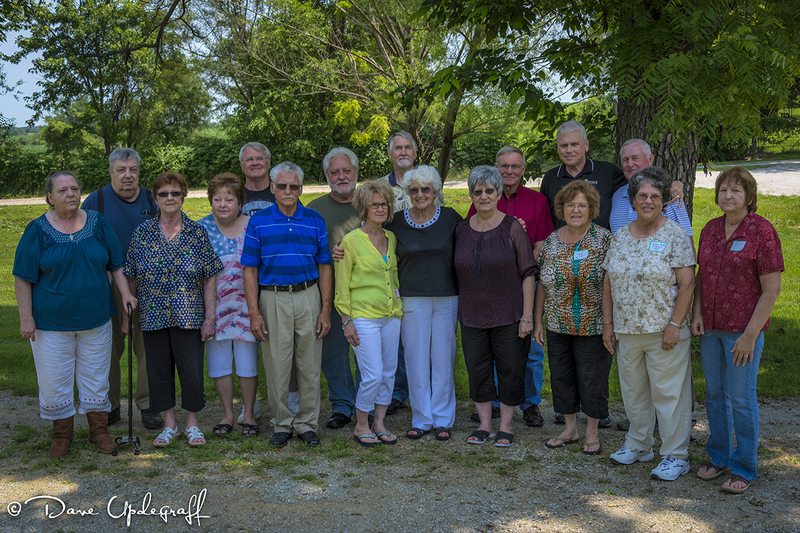 Tagged: Childhood Memories, Class of 1965, High School Reunion, Missouri, Photography, Ridgeway, Ridgeway RV School. They say, “You can never go home again.” But for 12 glorious hours I did just that and it was beyond my highest expectations. 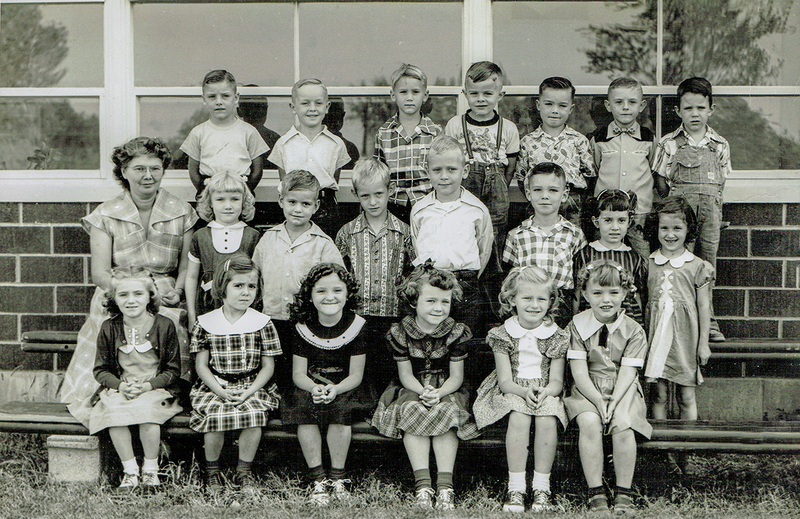 The image above is of my first grade class in 1953. I found it a few days before the “All School Reunion” that was held in Ridgeway, Missouri. Ridgeway is a little town of 450 people plus or minus a few people over the years. 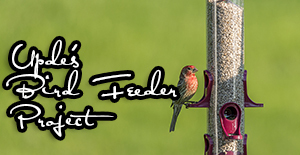 It is located in Northwest Missouri 22 miles South of the Iowa border. I graduated in 1965 in a class of 16 students. 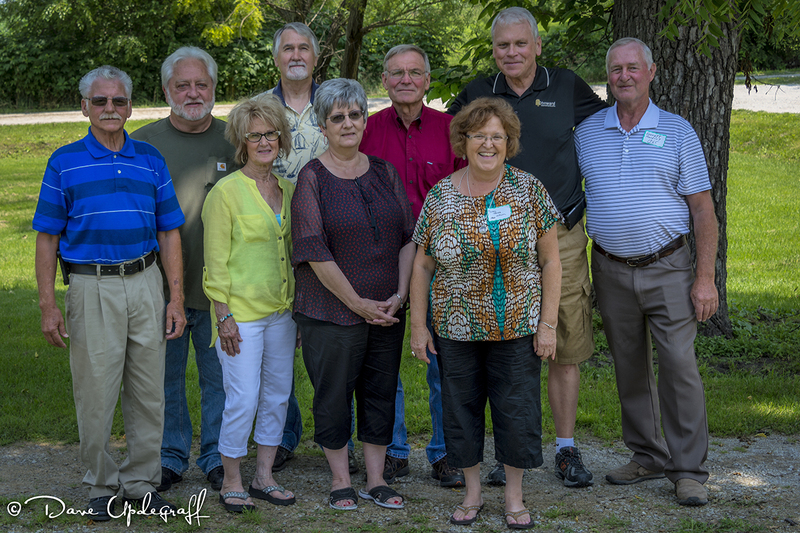 Of the 16 students that graduated 12 made it back to the 50th reunion, two have passed away and two were unable to attend. So it was a remarkable turn out. More than just our reunion however, because the school was small it was more like one big class. We knew everyone and knew almost everything about everyone. So it was one joyous reuniting after another all squeezed into those wonderful 12 hours of reliving a past that was filled with wondrous and happy memories. These are the friends who know everything about you and still love you in spite of that. I do not have the literary skills to adequately convey the joy, warmth, emotion, and love that I received and gave during that period of time. It had been 30 years since I had seen most of them, and 40 – 50 years since I’d see some of them. So there was a lot of catching up to do and so little time to do it. One of the greatest things that has happened over the last few years has been reconnecting with many of my childhood friends through Facebook. Which was the predominate reason I wanted to attend this year’s celebration. I have some images and video that I will share during the week. It started Friday evening when I crashed the reunion dinner of the class of 61 and ended Sunday with a two-hour breakfast with my dear friend Kathy and her wonderful husband Phil. The image above is from our reunion lunch at Sharon’s home. It was a great time that was over in the blink of an eye. I didn’t get a chance to visit with all the wonderful people in this image. If there was one wish I would have asked for the power to slow time down for at least that day. 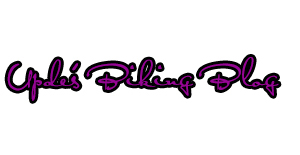 Thank you for stopping by the blog. I hope you don’t mind my journey down my memories of those remarkable years.